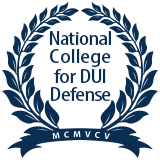 Lubbock TX DWI Defense | Nicky Boatwright, P.C. Many people think there is no reason to hire an attorney for a Driving While Intoxicated (DWI) case. Nothing could be further from the truth. For an experienced DWI lawyer, there are multiple avenues to successfully challenging a DWI case. Below are the most common ways to challenge a DWI in Texas. One of the first lines of attack is examining police reports as well as any available audio or video evidence on the basis of the stop of your car. For example, it is unlawful to pull a car over because the police officer doesn't like the political views expressed on your bumper stickers. A police officer cannot pull you over based on your race. A police officer cannot pull you over because it is right after the bars close and the officer assumes you are drunk because you are driving at that time of night. A police officer cannot ask you to perform field sobriety tests on a whim. Just as the police need to have reasonable suspicion to pull over your car, there must be some rational basis to ask you to perform field sobriety tests. If, after the officer pulls you over, the officer has no reason to believe you are under the influence of alcohol or drugs, the officer cannot ask you to perform field sobriety tests. Once law enforcement asks you to perform field sobriety tests, you should know you have the right to decline to take these tests. The officer is asking you to take the tests for one of two reasons: first, the law enforcement officer thinks you are drunk and is looking for confirmation, or the law enforcement officer is not sure if you are drunk and is looking for confirmation. Whether or not you refuse to take the field sobriety tests is a personal decision. If the law enforcement officer has independent reason to believe you are intoxicated, you will be arrested anyway. However, if the law enforcement officer doesn't have an independent reason to believe you are intoxicated and you refuse to participate in field sobriety testing, you should be released. Field sobriety tests include three different but standardized tests, each of which requires a certain amount of coordination. The police look for a number of "clues" during each test, and these clues are meant to suggest you are under the influence of alcohol. One of these tests is the One Leg Stand. This test requires the identification of 4 clues. In this test, you are asked to stand on one leg. The other leg must be raised above the ground by at least six inches. You will be instructed to keep your foot pointed at the ground, but at least six inches off the ground, with your arms at your side and your eyes on the officer. Next, you will be asked to maintain this position while you count to 30. The officer will observe you as you do this and will be watching for clues, which include raising your arms to balance, putting your foot on the ground, hopping, or swaying. Failure to perform the test by displaying two or more clues can result in your arrest. Another test law enforcement relies on is the Walk and Turn test. In this test, you are asked to walk heel to toe in straight line, with your arms again at your sides. You will be asked to take nine heel to toe steps, counting aloud as you go, then turn taking a series of small steps on your front foot, and return with another nine steps heel to toe. The officer is looking for a total of 8 clues, which include the inability to keep balance during instructions, starting too soon, stopping during the test, missing heel-to-toe, stepping off the line, raising your arms to balance, turning improperly, or taking the incorrect number of steps. Finally, the police officer may ask you to participate in the Horizontal Gaze Nystagmus test. In this test, the law enforcement officer asks you to focus on the tip of his or her pen or finger and to follow it as he or she moves the finger at a specific angle. The officer is watching how your eye responds to moving at the prescribed angle. Clues include lack of smooth pursuit for the left and/or right eye, distinct and sustained nystagmus at a maximum deviation for the left and/or right eye, onset of nystagmus prior to 45 degrees for the left and/or right eye. The officer may also check for vertical gaze nystagmus. If the officer identifies 6 clues, you allegedly fail the test, but this test only works if the police officer raises his or her finger or pen at the correct angle, which may be difficult to estimate. The first thing to know about field sobriety tests is that they are not scientific but subjective tests, rife with problems. Fortunately, we can now use evidence like videos to challenge a DWI. For instance, although an officer's report may provide probable cause for an arrest, it can now be verified using video from the dash cam and/or body camera. An experienced DWI attorney will review the video in conjunction with the officer's report to verify the allegations. If the video does not support the officer's claims about how you failed the test, at best the charges could be dismissed, or at the least your attorney can weaken the prosecutor's case against you. An officer may also ask you to perform other types of field sobriety tests, but they are not standardized and can also be challenged accordingly. Even if the stop was legally supported and the field sobriety tests were properly administered, there still may be a basis to challenge the DWI charge. Breath tests, which are used in some DWI cases, can be challenged in a number of ways. For example, the machine used in breath testing in Texas must be calibrated on a regular basis. Failure to calibrate the instrument could result in a reading that is either higher or lower than the actual breath alcohol concentration. Additionally, the instrument has a maintenance schedule, which must be adhered to. Just like cars need oil changes on a regular basis, the machine measuring breath alcohol concentration must have regular maintenance for the machine to function properly. Failure to properly maintain the machine calls the test results into question. More commonly law enforcement relies on blood testing rather than breath testing. This, too, can be subject to challenge if the attorney knows where to look. As a starting point, blood tubes should be accurately labeled to ensure there has not been a mix up of some kind. Next, the tubes must be appropriately handled. This means, in part, the person collecting the blood must first properly clean their hands. Bacteria from unclean hands may be introduced into a blood sample during collection, and this bacteria could contribute to an improper test result. Next, one must consider how the collection site of the driver (the skin above the vein) was cleaned. Was the area cleaned and dried with an alcohol-free, anti-microbial wipe? Or was an alcohol-based wipe used? This finding could also impact the result. Additionally, there are reagents, chemicals, and/or additives in various types of blood collection tubes. Failure to use the correct tube can result in a false positive test result. Blood tubes also have expiration dates that must be observed and the right size needle should be used to draw blood. Blood test results are only admissible if there is a proper chain of custody. This means the government can prove who handled the blood tube from the time it was taken off the shelf to the time it arrived in the hands of the scientist who performed the test on the blood. Failure to establish a complete chain of custody could impact the admissibility of the test results. Also, the qualifications of the examiner can be challenged. Areas of challenge may include the appropriateness of his or her education, training or experience. Scientists are expected to undergo proficiency testing on a regular basis. Failure to engage in proficiency testing or failing a proficiency test could be another area to challenge. All of these and more are ways that an experienced attorney like Nicky Boatwright can challenge a blood test. Nicky has specialized training and excellent understanding of how blood tests work and she knows how to interpret results which may apply in your case. If one or more does apply then Nicky Boatwright, as your attorney, will use it to move the court to dismiss the blood results or argue the same at trial to weaken the prosecutor's case against you. If you are facing DWI charges in Lubbock, Texas, don't assume there is nothing you can do. There are a number of ways to challenge a DWI or BWI charge in court. From the stop of your car to the sufficiency of the test results, and at every step in between, Nicky Boatwright will fight for you. Don't leave your DWI case to chance. Contact Nicky Boatwright online or at 806-747-8002 to discuss your options.